Bright, colorful card with the wishes of the youngHappiness is probably a must in addition to gifts and flowers. 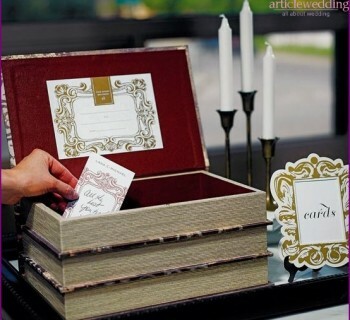 Now wedding cards can be divided by purpose into two categories: greeting cards and envelopes intended for donation of money. The history of occurrence of the first cards that entered the annals of cards. So, in the beginning of the XIX century, one Englishgentleman took to congratulate all of their friends, which, it should be noted, it was a lot. Since he did not have time to do it personally, he asked a friend of the artist to make for him a few cards, unpretentious decorated with ornaments and pictures. After receiving the order, the gentleman sent a card to your friends by mail in an envelope and left wishing sold on the street. Nowadays, although the card is still used as one of the types of postal services, it is increasingly replacing the Internet, and we only donate cards on holidays. Greeting cards are available in various shapes andsize, but, as a rule, they are larger than normal. Wedding cards are decorated with flowers, wedding rings, the bride and groom figurines, images of doves - all that we usually associate with a wedding. Copyright cards - this card madeyour own layout. Wedding cards, made with your own hands - the best cards. To create a card, you will need a beautiful paper, inks, ribbons, beads, pictures of young, feathers, scraps of guipure, markers, natural or artificial flowers and, of course, your imagination. In this case, you can argue that your congratulation was unique. "Singing" or "talking" greeting card - another viewwedding cards. Opening such a greeting, you will not only look at the kind words and wishes you happiness, but also to listen to beautiful music (eg, Waltz Mendelssohn). Some cards may even "pronounce" wedding congratulations to young couples. Floral Greeting Cards - greeting cards, made of fresh flowers - is also very relevant. 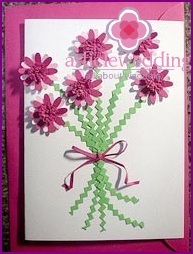 This card can replace the traditional bridal bouquet and please the bride and groom. Edible cards. This type of cards invented in China. It has done it out of thin rice dough with the addition of chocolate and vanilla. The original way to congratulate young! Greeting newspaper is a great wedding card. Oh, here you can accurately fit all your congratulations and best wishes, and add some pictures or photos. Flash-card - the modern way to congratulate the wedding. 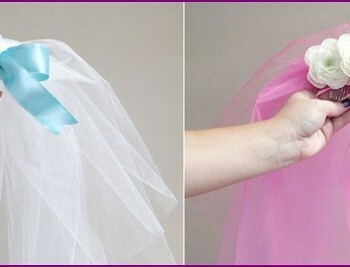 Such wedding cards, you can select specific sites on the Internet and send e-mail.